They ask me how tall I am, I say, NOT VERY. Meet actor, comedian, and host; Dwayne "Young Wayne" Young. 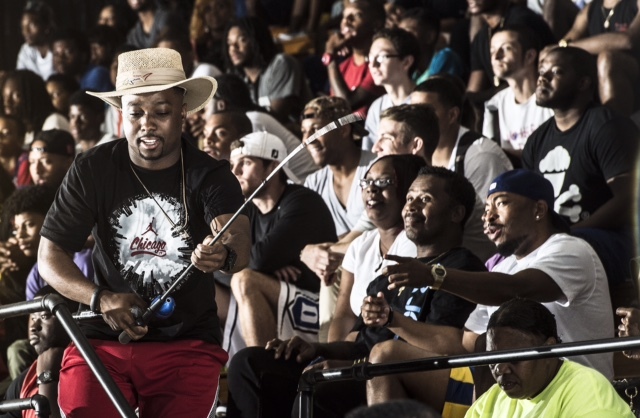 For the past five years, Young Wayne has taken the term Sports Enthusiast to the next level, becoming the go-to Mega Personality for major basketball related events across the nation. From attending Second City Improv, to featuring in Russell Simmons All Def Digital Skits and Film, to being the face of Nike Chi-League for the past 4 years. Wayne has set the precedent for what it means to bring your personality front and center. To read Wayne’s full biography, click here. Wayne was born and raised in Chicago, IL and attended the prestigious and world renowned, Whitney M. Young Magnet High School on Chicago’s West Side. In the Spring of 2017 Wayne made his national hosting debut in a McDonald’s Ad Campaign, letting viewers know “There’s a Big Mac for That!” as the commercial debuted during the Verizon Slam Dunk Contest, during NBA All-Star Weekend. With over 30+ features in film, digital and television mediums (including McDonald's "There's a Big Mac for That" Campaign), Young Wayne continues to show his versatility as an actor. From attending Second City Improv to featuring in Russell Simmons All Def Digital Skits and Film, Wayne has set the precedent for what it means to bring comedic personality front and center. Wayne has become the go-to mega personality for major basketball related events across the nation while also becoming the face of Nike's Chi-League for the past four years.